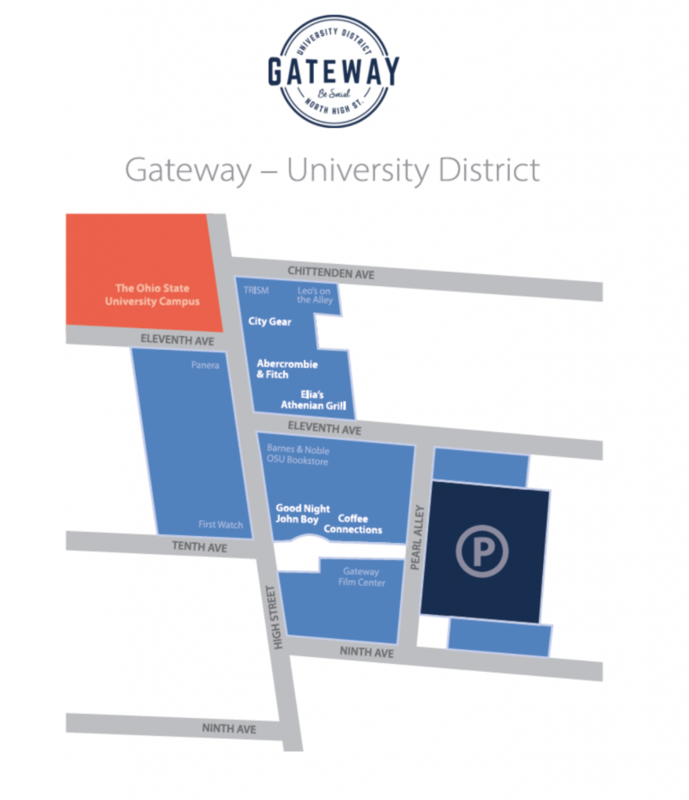 The voids left at Gateway in the university district are soon going to be filled, according to a press release sent out by Gateway — University District, with five new tenants scheduled to open their doors in the fall. Moving in will be Abercrombie & Fitch, a popular clothing store; Good Night John Boy, a 70s-themed tavern; Elia Athenian Grill, a greek restaurant; Coffee Connections, a family-owned coffee shop; and City Gear, a clothing store selling mixed brands of clothing and shoes. 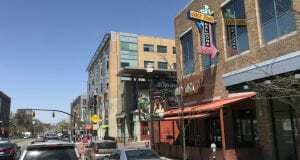 These new stores will open up shortly after a series of closures have impacted the Gateway area, closing both the Ugly Tuna Saloona, a popular bar for students, and Mad Mex, a mexican restaurant residing directly below Ugly Tuna. The five additions will take up more than 14,000 square feet of space at Gateway, according to the press release. Abercrombie & Fitch, an American retailer headquartered in New Albany, Ohio, is scheduled to open up in August, the press release said. It will offer students the chance to have products ordered online and picked up at the store’s location at 1614 N. High St. or head to the store and place an online order on a 30-inch interactive screen. This location also will be used by the Abercrombie & Fitch Brand Ambassador program in an effort to build a relationship with Ohio State University, the press release said. Good Night John Boy will be opening up at 1576 N. High St. at the intersection of N. High St. and the Gateway Plaza. According to the press release, it has a “70s inspired vibe and attitude” that offers food including “chef-driven biscuit sandwiches.” The tavern will take up 3,000 square feet. It is owned by Cleveland-based Forward Hospitality Group, which also operates Flip Side at Easton. The press release does not specify in what month it will open, stating only that it will open in Fall 2018. The Elia Athenian Grill, opening up at 14 E. 11th Ave., is a locally owned greek restaurant that will occupy 2,236 square feet of space. Customers will be able to create their own pitas, salads and grain bowls with select toppings, according to the press release. This is the second Elia Athenian Grill to open in Columbus, with the second location at 20 N. High St. in downtown Columbus. It is scheduled to open in September. Providing college students with another source of caffeine is the local coffee shop Coffee Connections, which will be opening at 1572 N. High St., its second location in central Ohio. It is also located at 4004 Main St. in Hilliard. The shop will take up 886 square feet and offer students coffee, fruit slushies and milkshakes, according to the press release. Like Good Night John Boy, it also does not have a specific month for opening beyond that it will open in the fall. The latest clothing store to open its doors on High St. will be City Gear, opening at 1624 N. High St. and occupying 4,457 square feet of space. Given an opening time period of Fall 2018, City Gear will offer students a chance to purchase name-brand products from retailers like Nike, Adidas, Converse and North Face, the press release said. It is part of a national chain headquartered in Memphis, Tennessee. *Updated at July 10: Clarifies the press release was sent by Gateway — University District and not Gateway Film Center.